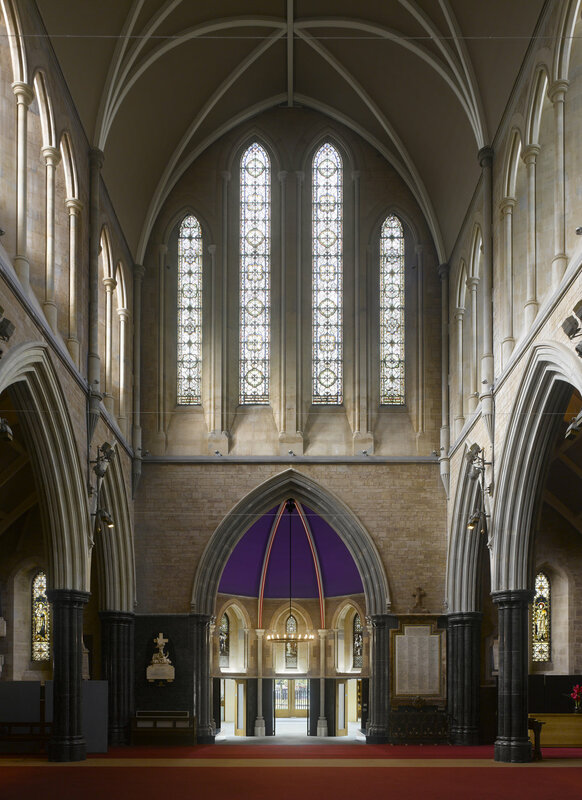 Although it was once in the centre of the old village of Hammersmith, this Grade II* listed church is now in the middle of one of London’s busiest traffic gyratories. the building has been designed around a welcoming and embracing western atrium, in the tradition of the early Christian Church, notably old St Peter’s in Rome. Complex archaeological issues included the excavation and reinterment of many Victorian burials. The project has been carefully designed to be sustainable, allowing a flexible use of space, excellent thermal qualities, a sedum roof and heat exchange through the piles.